Here at Infosimples, every year we conduct a satisfaction survey to collect the opinions of clients about our services and to understand the strengths and weaknesses of our services in the eyes of those who use it. The survey results enable us to evolve and deliver a better service year after year. On december 2015, we sent our most recent survey to 20 companies who use a data automation service we provide, and in this article we will share a compilation of the results. The first part of the survey was about how much the solutions meet the clients' needs and how easy it is to integrate existing systems with the Infosimples APIs. 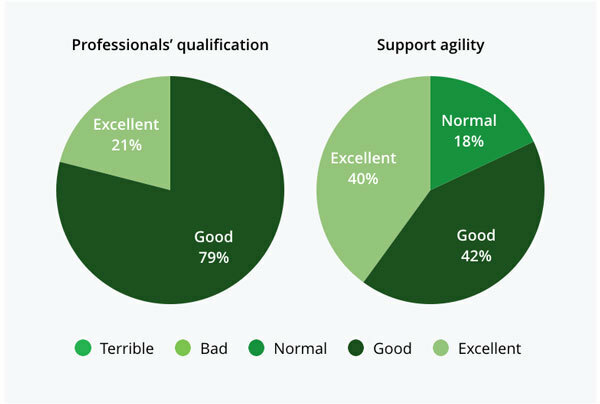 The client support evaluation worried us because of the perception of agility with a level lower than we would like, even though the professionals were considered to have excellent/good qualification. We are already taking actions to improve support agility. We expect to see an expressive improvement on the next satisfaction survey. This was our first Net Promoter Score (NPS) evaluation. 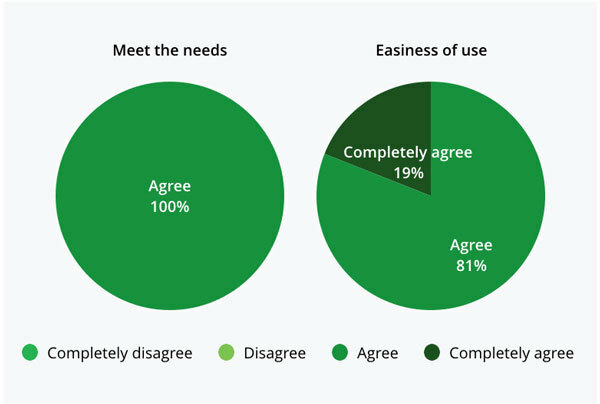 "How likely is it that you would recommend Infosimples to a friend or colleague?" The answer to this question refleclects the client's loyalty and willingness to recommend the solution to others. This metric usually ranges from -100 to + 100. We believe this metric will be more helpful from the next survey on, when it will be possible to analyse our NPS evolution. We would like to thank all respondents for having dedicated some minutes to answer the questions. The results are being very important on our plan for the starting year. We wish a great 2016 for everyone!